Essential for the complete refurbishment of the engine seal of your PEUGEOT 103. Pack complete seal ATHENA Racing Ø40mm for engine with air in 50cc with admission on crankcase! This pack is very good! You can mount it on high engine of origin or kit 50cc, on 2 and 3 transfers! On big and small transfers because the base gasket is modifiable. 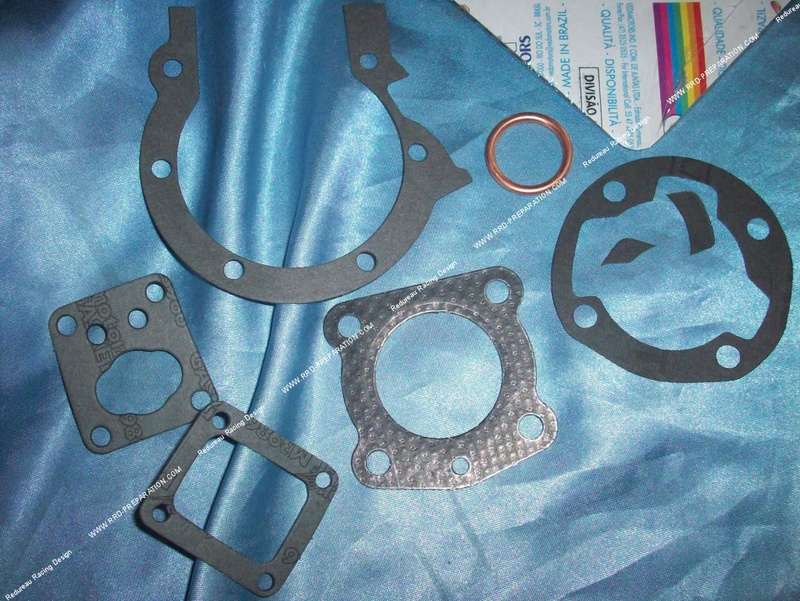 X1 base gasket 2 and 3 transfers "big and small side"